While every contract is unique, a typical business contract contains some basic or “boilerplate” provisions. These clauses usually follow a standard format and they are carefully worded to ensure they will hold-up in court. Because so many contracts contain similar boilerplate provisions, many people do not read them or do not understand what they are agreeing to. Below are a few examples of legal terms and conditions that you should fully read and understand before signing the contract. The consequences of ignoring these clauses could lead to an unintentional breach of the contract and/or litigation. This clause is often referred to as the “entire agreement clause” because it provides that the entire agreement between the two parties is what is laid out in the written contract. This is a very important provision to understand because it makes it extremely difficult for the parties to enforce any promises that are not documented in the contract, even if they were sent in writing or via email prior to contract signing. The court will look only within the four corners of the contract to resolve a dispute. Thus, it is imperative that all prior agreements are fully recorded in the written contract, leaving no ambiguity. If your contract deals with a time-sensitive matter, you must include a clause the dictates failure to meet a specific deadline is considered a breach of the contract. The clause can outline the consequences or damages available to the non-breaching party for failure to meet the deadline. A severability clause provides that if a portion of the contract is held to be void or unenforceable, the remainder of the agreement can still be valid. Without this provision, the entire contract could be unenforceable if any part of it is void. A liquidated damages clause provides that if a party breaches certain terms of the agreement (often delivery or performance requirements), they will be required to pay the other party a certain amount of money as compensation for the damages. Liquidated damages can be helpful when it is hard to calculate the actual damage that will be incurred by the non-breaching party. The inclusion of an acceleration clause allows a party to demand performance in full if the other party breaches the contract. For example, if one party misses a payment, the other party can demand payment in full. The above are just a few examples of the boilerplate language that can be included in a contract. 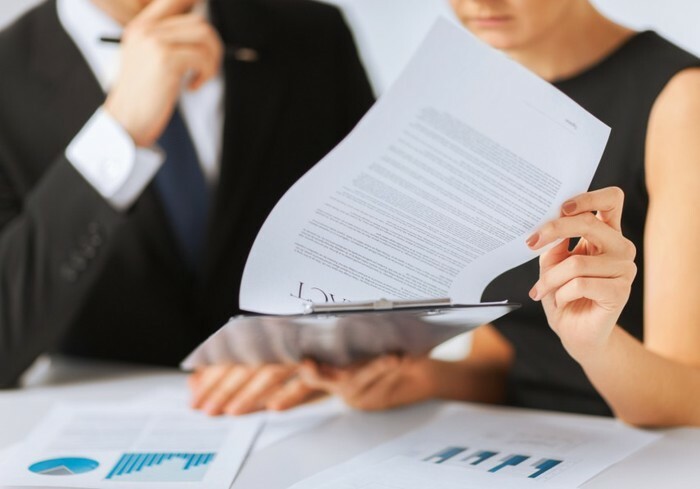 Failing to read these clauses and to fully understand what you are signing can put your business at significant risk and make it vulnerable to a lawsuit. Remember, every clause in a contract is negotiable, so don’t think you are “stuck” with the boilerplate clauses. If you don’t understand any part of an agreement, it is imperative that you have a competent business attorney review it. To learn more about boilerplate language in a contract or how we can assist you with other business-related matters, contact Leslie S. Marell today.